Fill each tart case with 1/2 tsp each of nibs and hazelnuts. Heat the chocolate in a pan and stir in the salt and chilli. 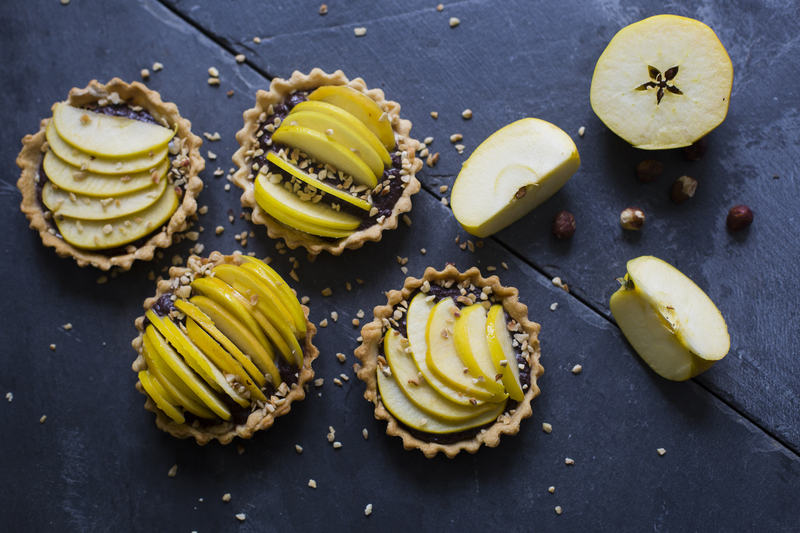 Fill each tart case and top with a wedge of apple. Sprinkle over some cocoa powder and serve immediately while hot. Scale up or down according to amount needed. Just repeat the recipe as is. You can use a microwave to heat the sauce before you pour into the prepared tart cases.